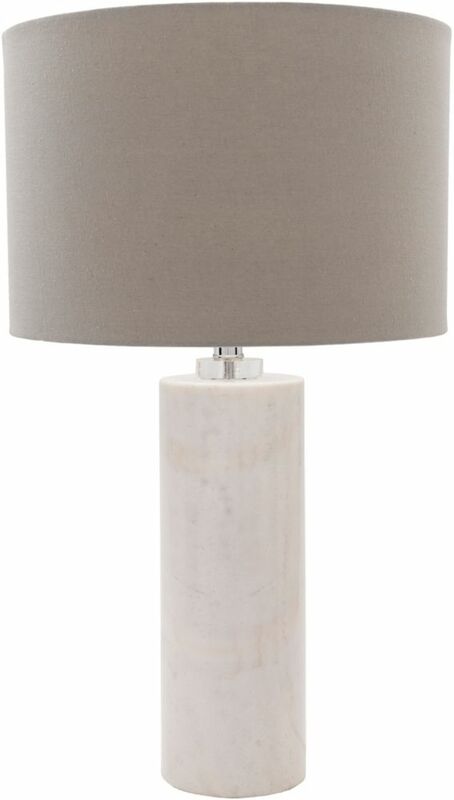 This contemporary table lamp features straight lines and a white drum shade. This two-tone light is great for minimalist dicor. The medium bulb offers a warm light output illuminating your indoor area. This contemporary table lamp features straight lines and a white empire shade. This crystal glass light is great for glamorous dicors. The medium bulb offers a warm light output illuminating your indoor area. Jamons 25.5 x 15 x 15 Table Lamp Our beautiful Abraham Table Lamp will allow you to have a coastal feel without living on the coast. The antique white resin base and red polyester drum shade is the perfect combination to bring the light and breezy summer feel to your home year round.